The Devonshire House Hotel is located just one mile from the M62 and 2 kilometres from Liverpool city centre. 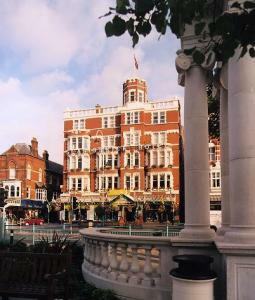 The impressive Georgian building is set in one and a half acres of landscaped gardens. Our staff are a professional team ready to cater to your individual requirements. Our aim is to provide you with the perfect venue for your business or social event. The Cavendish Suite, overlooked by a minstrel's gallery from where music is provided, recreates the ambiance of the Georgian era. The Conference Centre with an extensive range of conference facilities caters for 5 to 300 delegates ensuring every comfort for all delegates. There are 7 different sized conference rooms, each different to cater for specific needs. You can have your wedding and reception here, and your guests can stay at the hotel with special discounted rates. There is complimentary accommodation for the bride and groom on the wedding night and there is plenty of car parking spaces for you and your guests. This fun and friendly hostel offers shared and private accommodation in the diverse Georgian Quarter of South Liverpool, 10 minutes' walk from the city centre. 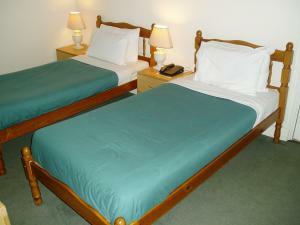 The Nightingale Lodge has a welcoming atmosphere, with friendly, helpful staff. Groups are welcome, there is no curfew, and reception is open 24 hours a day. Facilities include a communal kitchen and dining area, free hot showers, a large lounge and a plasma TV with satellite channels. There are computer kiosks and free Wi-fi internet access is available. Guests may also enjoy a barbeque in the garden. The Nightingale Lodge is close to all transport links. A mini-bus service is available upon request for groups of 10, staying at least 2 nights. The hostel has secure cycle storage and secure lockers. This exciting, new hotel, opened in February 2008 is a simple, stylish, vibrant and upbeat boutique concept, featuring comfortable, contemporary accommodation and innovative design. All bedrooms are bright, spacious and have all the facilities required for business or leisure. Modern bathrooms have an invigorating power shower, generous work area and many other facilities. Visit the hotel's 'Hub' and bar, or simply call in for a coffee break. 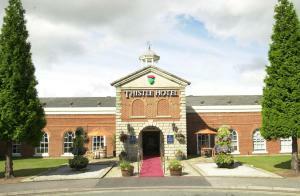 The hotel is located on the A580, minutes from junction 23 of the M6. 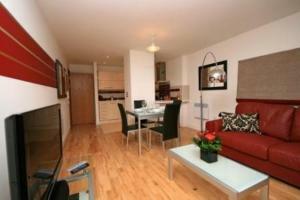 It is conveniently situated between the cities of Liverpool (14 miles) and Manchester (17miles). In Liverpool's Albert Dock, just a 5-minute walk from the city centre, this stylishly renovated Victorian warehouse offers great-value, with spacious, comfortable and modern air-conditioned rooms. In the heart of one of the city's most popular tourist destinations, the Premier Inn Liverpool Albert Dock is directly opposite The Beatles Story, close to the Echo Arena and the Liverpool One shopping centre. The beautifully preserved Grade I listed building boasts stunning original features, including exposed brickwork. Many of the rooms have views over the dock and some rooms can take 2 adults and up to 2 children (under 16 years). The 2 children also get a free full breakfast when accompanied by an adult eating a full breakfast. An all-you-can-eat buffet breakfast is available each morning and includes scrambled, fried, poached or boiled eggs, and pork or vegetarian sausages. There is also a wide continental selection. The on-site restaurant and bar offers good food and drink at great-value prices. Ideally situated in a tranquil Liverpool suburb, Beech Mount Grove Suites are close to Sefton Park, a 10-minute drive from Liverpool Lime Street Train Station. 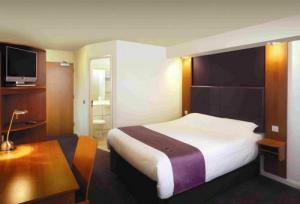 Each Suite has spacious, well furnished bedrooms, with Freeview TV, a fridge and modern en suite facilities. Excellent bars and pubs are all within walking distance and Liverpool One shopping centre is a 10-minute drive from the Suites. There is a well-equipped kitchen, with a range of modern facilities including a microwave and oven. Free parking and free Wi-Fi internet access are available to guests. 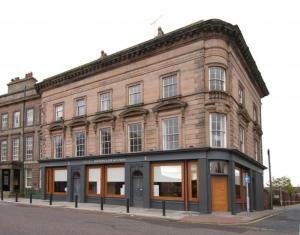 In the heart of Birkenhead's historic Georgian quarter, next to Hamilton Square Railway Station, Sleep Station offers free Wi-Fi and stylish, modern en suite accommodation. Situated right next to the railway station, Sleep Station has a convenient location, just a 5-minute train ride from the very heart of Liverpool's city centre. 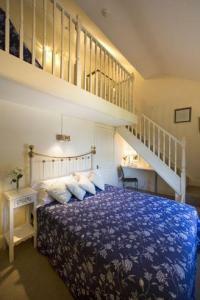 There are 5 attractive and light en suite rooms, all beautifully designed and mixing new and antique furniture. All of the rooms have TVs, videos and tea/coffee making facilities. On the ground floor, the bistro has 60 seats and is open for breakfast and lunch, Monday to Friday, evenings and weekends. The bistro is also available for private hire and there are 3 function rooms for business events, private dinners and any kind of celebration. Outside catering is also available. Leasowe Castle offers a perfect combination of style; comfort and elegance in a tranquil setting overlooking Leasowe Golf Course & the Sea. The Castle dates back to 1592, it was built by Ferdinand 2nd Heir to the English Throne, to allow him to watch horse racing on the Meols sands. The Castle has all the comforts and amenities of a twenty first century hotel and the bedrooms are well equipped and comfortably furnished include full en-suite facilities. The hotel has luxurious suites with wooden 4 poster beds, spa baths with underwater lighting and luxury drapes. Offering both comfort and value, this hotel is ideally located for the airport, and is a convenient base from which to explore the city of Liverpool. Whether you intend to stay on business or pleasure, the modern hotel offers comfortable spaces for you to relax, recharge and face the day with a smile. Nestled amidst attractive gardens in the beautiful Wirral countryside, this 19th century mansion provides an oasis of peace and tranquillity, yet it is conveniently located for both Chester and Liverpool. Voted Merseyside Hotel of the year 2006, Thornton Hall Classic Hotel provides state-of-the-art conference facilities and comfortable rooms along with one of the finest spas in the North West, offering an amazing array of treatments and packages to suit everyone. Situated in the unspoilt hamlet of Thornton Hough, the 4-star hotel has been stylishly extended to offer all modern comforts but still retains some striking original features, such as oak carvings and ornate ceilings. With a superb location, right in the heart of Liverpool's city centre, the Hanover Hotel offers comfortable en suite rooms at great-value rates and a popular rock and blues bar. 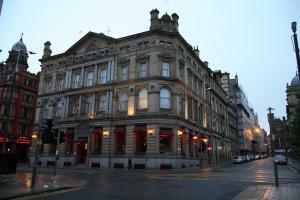 The spirit of the Mersey scene lives on at the Hanover Hotel in Liverpool, the home of rock and blues. Popular with visitors from throughout the UK and around the world, the hotel prides itself on offering a friendly welcome and comfortable rooms for parties of any size. Recently refurbished, all of the rooms have TVs, electronic safes, hairdryers, telephones, tea/coffee making facilities and power showers. The central location makes the hotel a great base from which to explore the rejuvenated city of Liverpool, home of the Beatles and the Mersey scene. 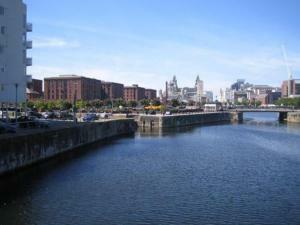 Liverpool's historic docks and the city's superb museums and art galleries are all within easy reach. With fantastic live music and great food and drinks, the Hanover Hotel offers affordable accommodation in the heart of Liverpool. These luxurious apartments are ideally located in the prestigious Kings Dock, next to the famous Albert Dock and close to bars, restaurants, shops, museums and art galleries. All that Liverpool has to offer is right on your doorstep. Perfect for business or pleasure, apartments are furnished to the highest standard and offer everything you require to make your stay an enjoyable experience. All apartments come with car parking. Ideally located, Kings Gap Court is just 5 minutes' walk from the beach and close to The Royal Liverpool Golf Club at Hoylake, home of the Open Championship. All of the spacious, individually designed rooms are equipped with modern comforts and facilities, including a flat-screen LCD TV with integrated CD and DVD player. Dine in style in one of the hotel's 3 restaurant areas. The menus are innovative, yet traditional, using locally sourced produce. Guests can enjoy a drink or snack in the relaxing bar lounge, complete with 42-inch plasma-screen TV. With good access to the region's major road network and free parking available for guests, the hotel is a convenient base for exploring the region. Liverpool is just a short journey away. 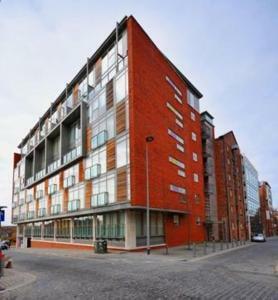 This stunning development is situated in the Docklands area of Liverpool city centre next to Albert Dock and its many bars, restaurants and shops. Built around a nautical theme, the development is spacious and interesting. The apartments are non-smoking and fully furnished to the highest standard. They come with fully equipped kitchens and everything you may require for a home-from-home stay. Overlooking tranquil Sefton Park, The Alicia Hotel has beautiful gardens, an elegant restaurant and comfortable rooms. 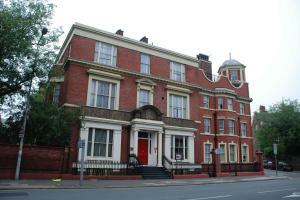 The hotel is just 5 minutes' from Liverpool city centre, with excellent motorway access. The Alicia boasts rooms that are well furnished, with comfortable beds, en suite facilities and satellite TV. Executive rooms boast a CD player and Sony PlayStation. A library of free games and CD's are available from reception. 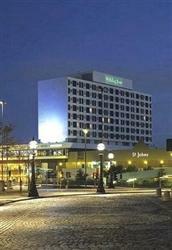 The Alicia has been voted 'Merseyside Hotel of the Year' for 2 consecutive years. The Edwardian Bar has a cosy fire and comfortable leather sofas. Glasshouse Restaurant serves excellent cuisine in a friendly and relaxed atmosphere. Liverpool Lime Street Rail Station is just 2 miles (3.2 km) away and John Lennon International Airport is 9 km away. Free Wi-Fi internet access and free parking are available to guests.